My youngest daughter wanted this kit and since her sisters would be away we decided it would be her special treat to make on her own. 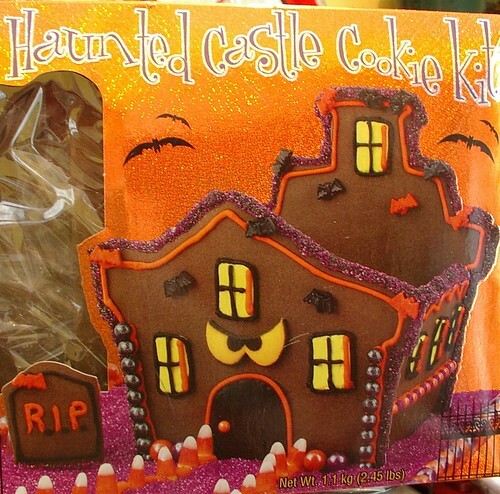 A Haunted Halloween Cookie Castle. 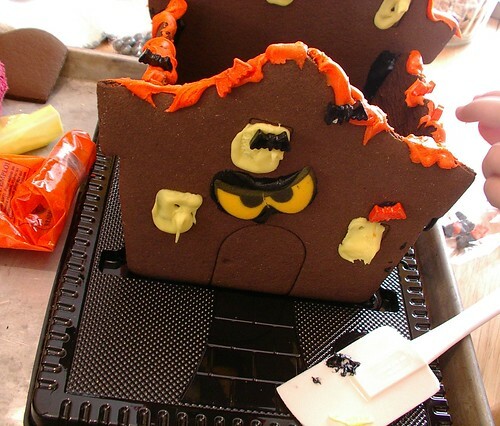 I don't know he doesn't look scary to me just real sad I think it is the door that does it.